Look what I found on twitter today, lolz!! This is not a joke. 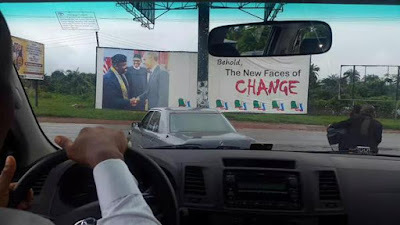 Apparently this billboard is located in Owerri, it was erected recently following Rochas Okorocha's trip to the US with President Buhari and the well publicized hand shake with Barack Obama. Could Gov. Rochas have instructed the erection of this billboard?